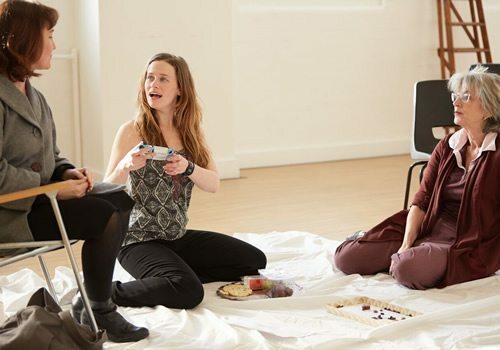 Katie Brayben stars in Charlotte Keatley’s landmark play about gender expectations, featuring as part of the St James spring season, which celebrates female playwrights and showcases substantial leading roles for women. My Mother Said I Never Should follows four generations of marriage and motherhood, all with differing results. Set against the huge social changes of the twentieth century, My Mother Said I Never Should is a moving exploration of mother-daughter relationships and how the choices we make can determine the whole course of our lives. Illegitimately born Doris gives up a budding teaching career for the sake of becoming mother to her daughter Margaret. After the war, Margaret marries an American and soon has Jackie, who grows up to be a 60’s rebel. When a very young Jackie accidentally becomes pregnant with Rosie, it is quickly decided that Rosie will be brought up to believe that Margaret is her mother. A heart-wrenching, brutally honest discovery of gender, identity and expectations for women, Keatley’s play is increasingly topical in today’s culture. 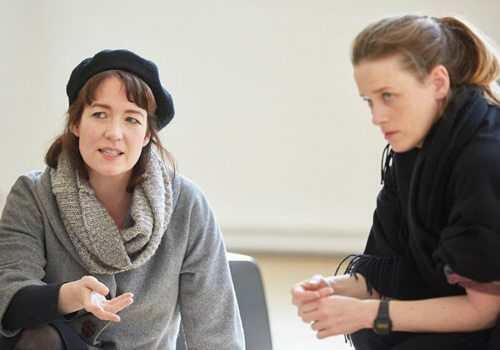 Written in 1985, Keatley’s award-winning play continues to remain startlingly relevant and continues to be the most commonly performed work by a female playwright. My Mother Said I Never Should has been translated into 22 languages and has earned Keatley the Royal Court/George Devine Award, as well as the Manchester Evening News Award for Best New Play. In 1990, Keatley was also nominated for the Olivier for Most Promising Newcomer. Olivier Award-winning actress Katie Brayben (Beautiful) stars alongside veteran Maureen Lipman (Oklahoma, Outside Edge). Further cast members include Caroline Faber and Serena Manteghi. Directed by Paul Robinson (42nd Street, High Society), the play includes set design by Signe Beckmann, costume by Helen Coyston, lighting design by Johanna Town and original compositions by Simon Slater. 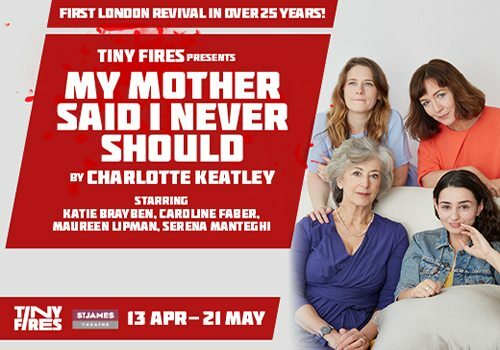 Covering a huge range of themes, from rock and roll to women’s rights and independence to relationships, My Mother Said I Never Should is a pertinent play that promises to be completely gripping. Opening at the St James Theatre on April 13th, My Mother Said I Never Should is booking until May 21st 2016. My Mother Said I Never Should includes adult themes which are not suitable for young children.